According to the Skin Cancer Foundation, more than 90% of the visible changes to our skin are caused by the sun. The sun affects vulnerable body parts and some of them are more susceptible to UV damage like our eye area, lips, hands and legs faster. Even the reflection on sea and sand increases radiation power! Freckles are pigmented skin cells found commonly on fair-skinned individuals. As people with fair skin have less melanin (pigment) in their skin cells, exposure to sunlight enhances the appearance of freckles because the body produces more melanin in response to the overexposure. Melanin acts as the skin’s protection against the sun’s rays, causing a person’s freckles to darken. 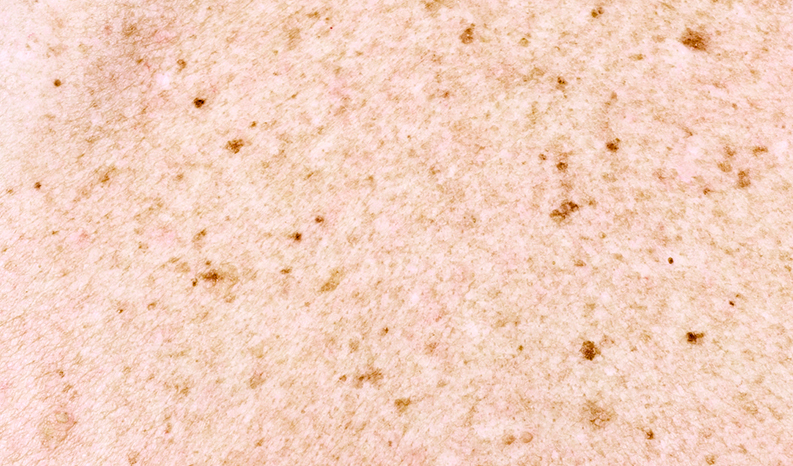 Freckles usually appear on upper-body skin areas like the cheeks, nose, arms, and upper shoulders. Just like freckles, pigmentation is caused by the overproduction of melanin causing darker tones to appear on your skin.